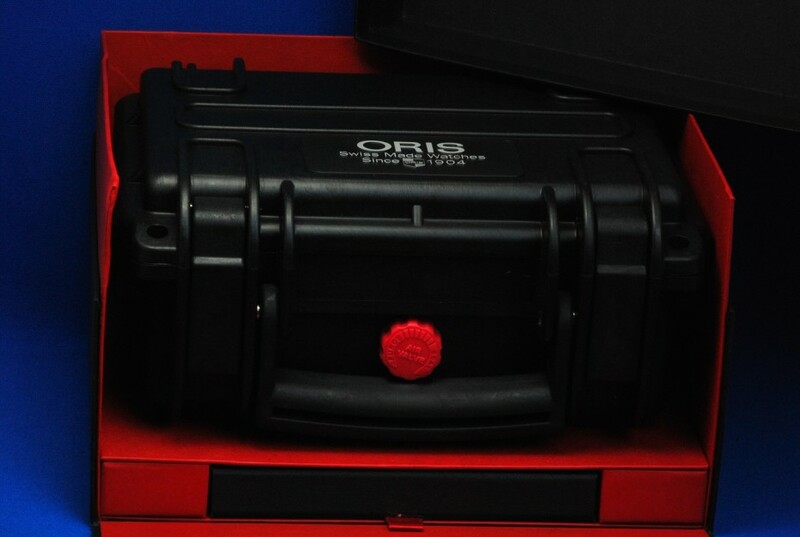 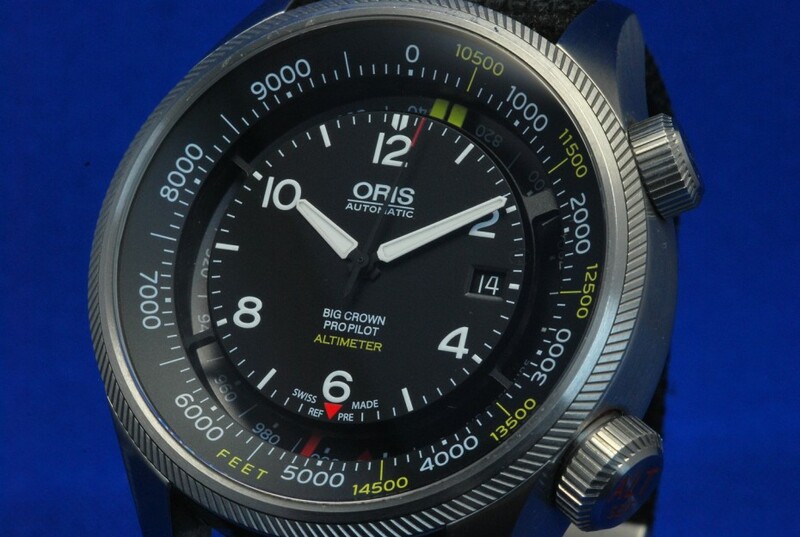 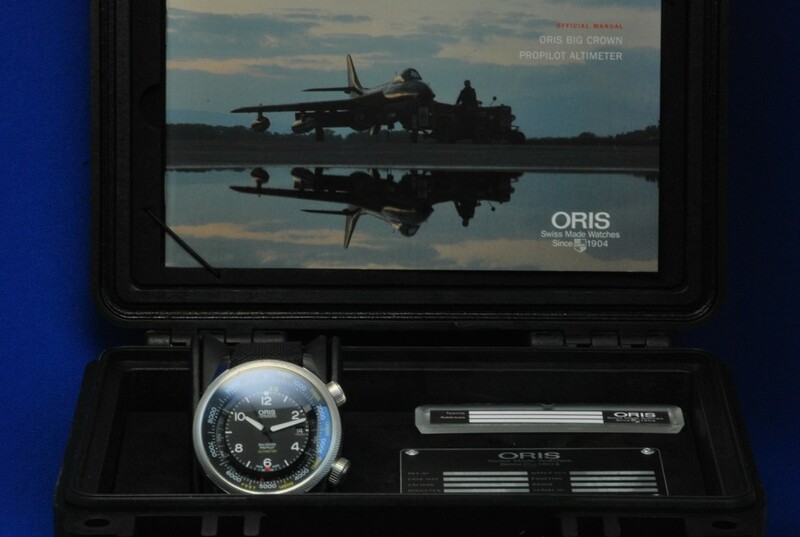 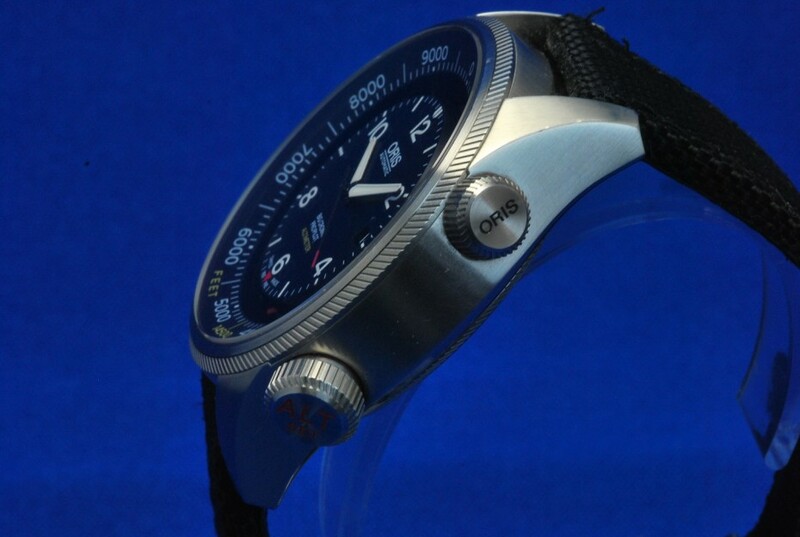 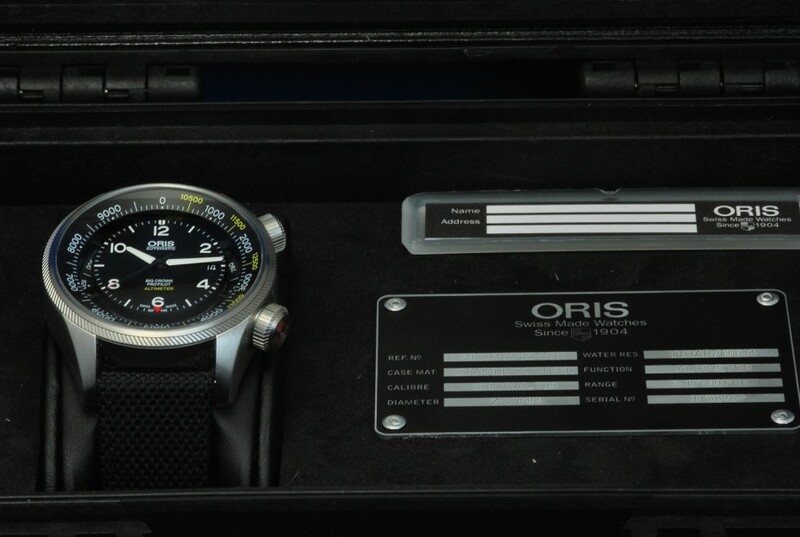 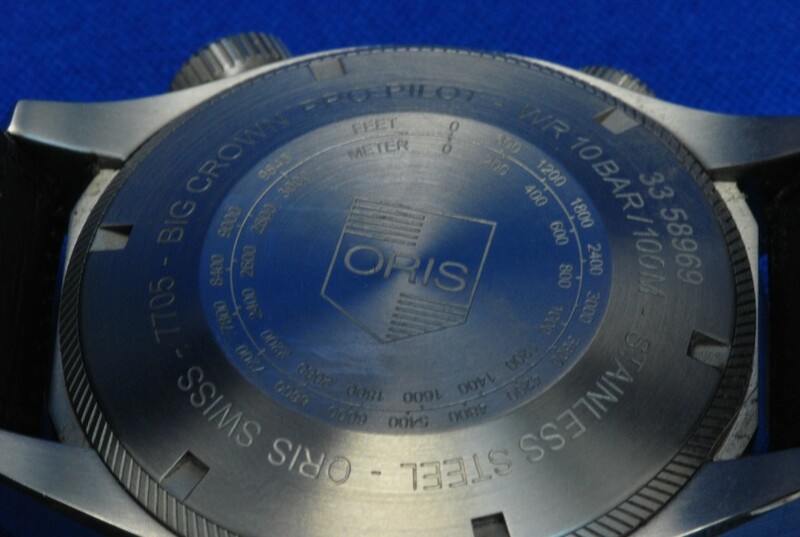 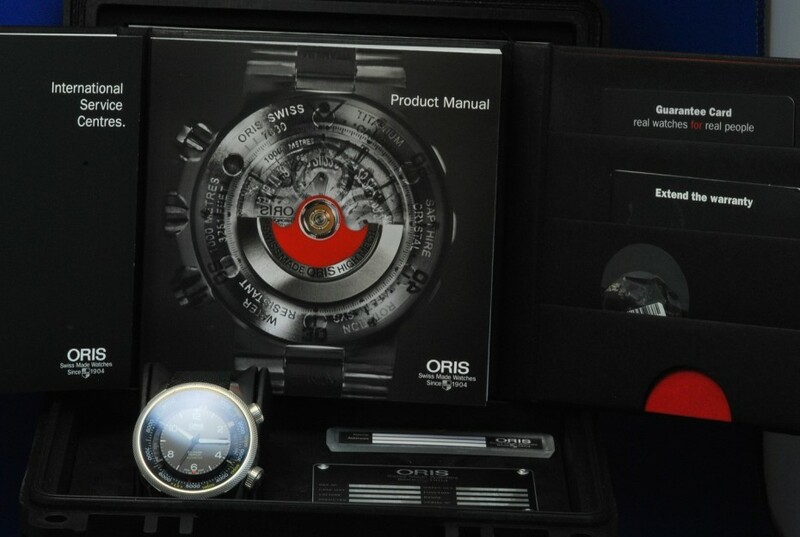 “Oris” Big Crown Propilot Altimeter, feet scale. Yellow hand altimeter gage on the outer dial ring, measures on a scale of 0-15,000 Feet. 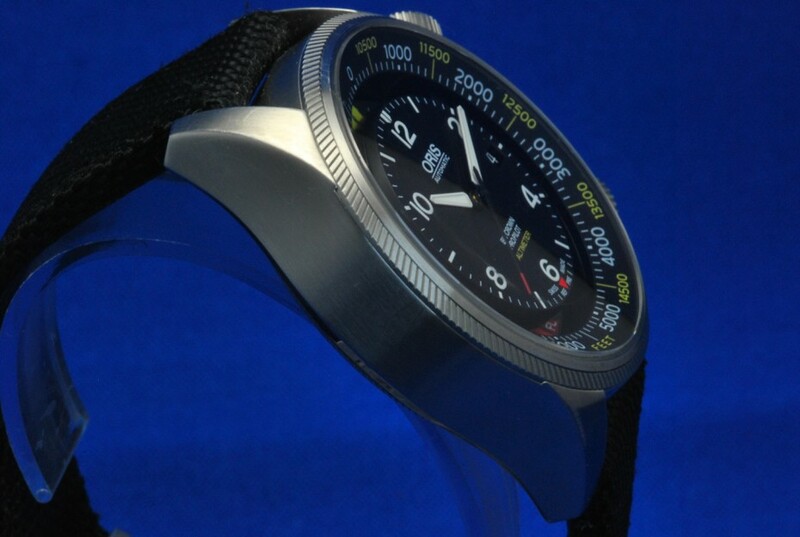 Red hand ambient pressure gage on the inner/lower dial ring, measures the ambient pressure pressure in hPa (hectopascal) which is metric measurement unit of pressure, commonly used to measure atmospheric pressure.